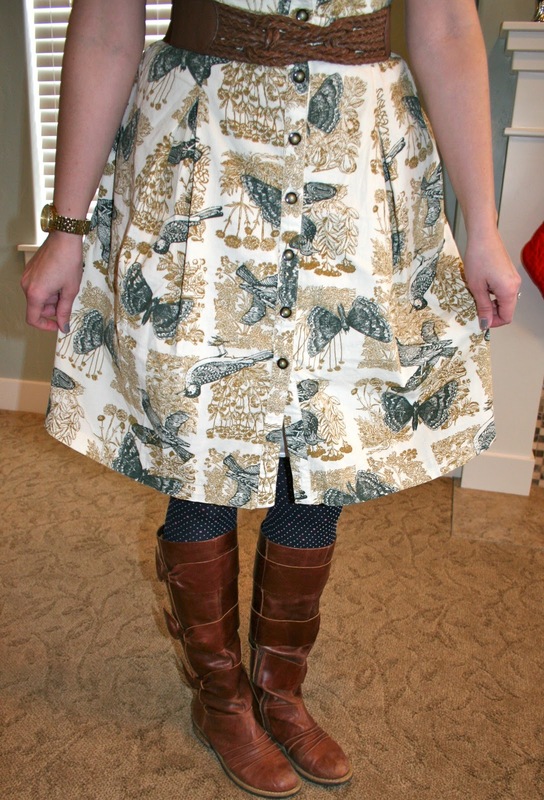 Tricia's Take: OOTD- Alary Shirtdress! Wait how did that get there;)? In 4 days I will be walking through that castle! Ohhhhh what an awesome present! I always wished my parents would suprise me with a trip to Disney when I was a kid - I've NEVER been. My boyfriend hasn't either and we already have decided that we're going to take our (non-exisent) children when they're 4 or 5. How fun!!! Those are the best kinds of surprises! We surprised our boys last Christmas with a trip to Disney and the looks on their faces when they found out we were going was priceless! Love those cute boots paired with those tights....so cute! You look great! You look cute! Hope you have lots of fun! Have fun in Disney...I'm super jealous! You look adorable as always! oh man! So jealous of that trip to Disney! It's just like the commercial! What a fun surprise for the kiddies! I haven't been to Disney for ages and I'm a bit jealous! 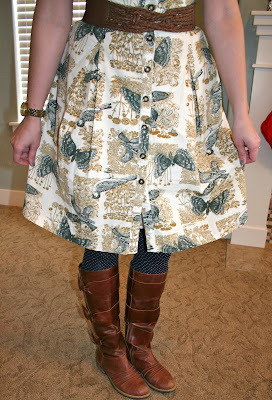 And I love the cognac accessories you paired with this dress. Isn't the Looping Lanes belt great? Goes with everything!! Your church outfits are always so beautiful! Are there any other fashionistas that attend? I am picturing a sea of ladies dressed to the 9s but I know reality is rarely like that. The Disney surprise is so wonderful! What lucky ducks those kiddos are! Have fun!! Hope you've had a magical time at Disney. That's one place our kids have never been...yet. What a fun surprise!